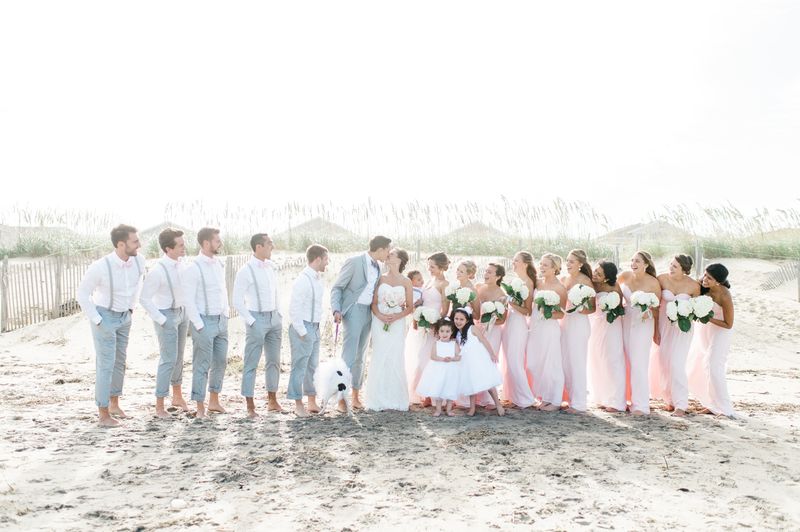 Lisa and Tommy tied the knot on the beach in the Outer Banks off the coast in North Carolina. The couple had vacationed there together in the past and are their happiest on the beach. All the bridesmaids were stunning in our classic Yazmin gown. All photos were taken by Missy Loves Jerry Photography. Q: Did you have a particular color theme? Q: What was the best/most memorable part of the day? The most memorable part of our wedding day was during the ceremony, when my Dad, who officiated, surprised us with a rewritten version of Hallelujah describing our love story/wedding. It was so meaningful yet lighthearted and hilarious at the same time. 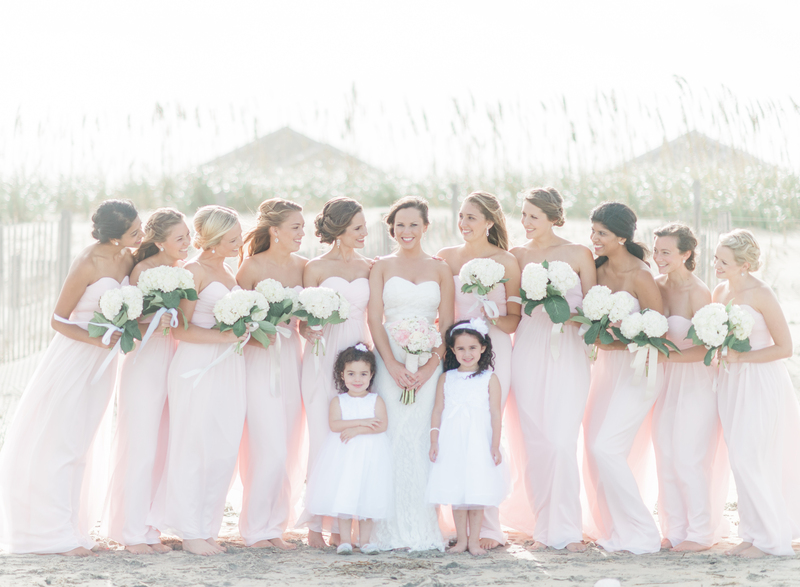 Q: Why did you choose Azazie for our bridesmaids? Q: Any tips or advice for anyone getting married soon? Q: Did you enjoy the wedding planning process? Q: Your wedding in one word. I love the color of the bridesmaid dresses! Are they blushing pink or pearl pink or what?